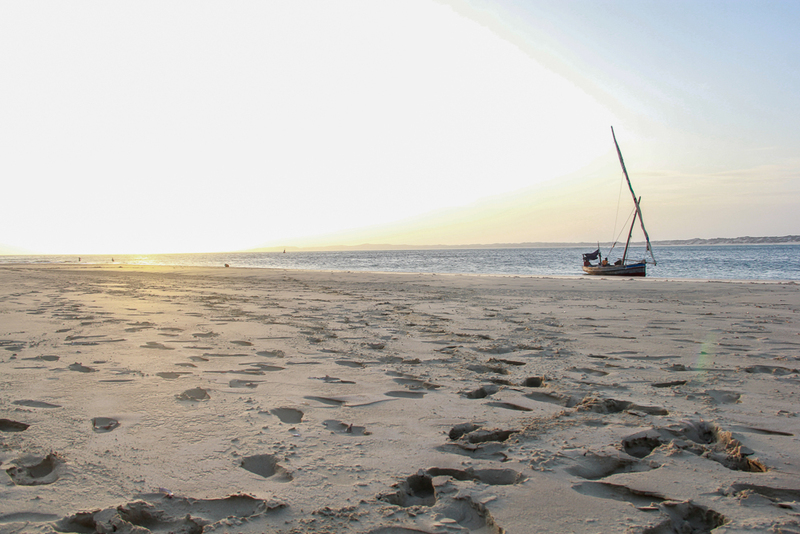 I have travelled around the world, but no place has ever felt as close to a fairy tale, as Lamu Island on the border between Kenya and Somalia. 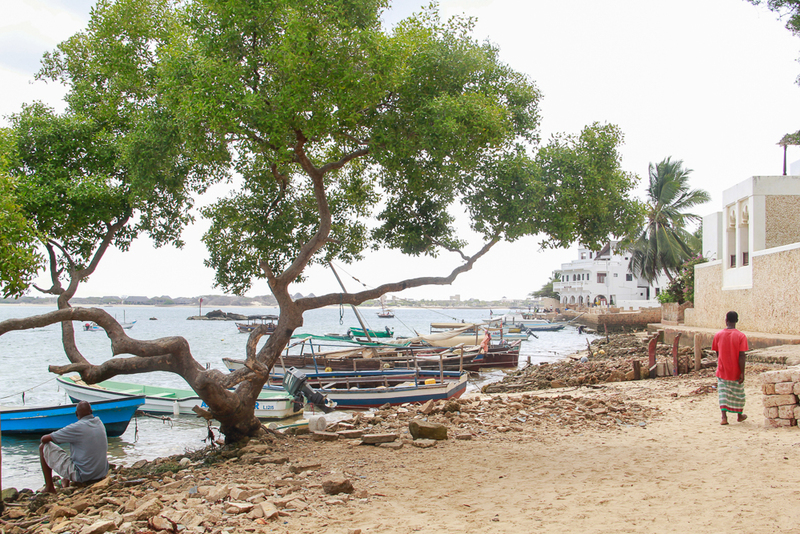 As the boat taxi was taking us from the roughly patched dock of the airport terminal towards the town of Shela, Lamu town emerged like a image from a different century. Rasta turbans, swahili women in colorful kukois, Muslim tall hats and long kaftans were blending with the background of colorful buildings, herds of donkeys crowding on the waterfront and dhows loaded with timber parked at the port. Our luggage was dropped off on the white-sand beach in front of the colonial Peponi hotel. From there, past the magnolia trees, around the corner from the botega with the shy Swahili ladies, after the kukoi store with the muslim lady covered in black and beside the Muslim house with the lady doing laundry in the street, was our spectacular open-air vacation house which made it tempting to stay at home instead of exploring the amazing world outside. Shela is the quiet town on Lamu, where European tourists and celebrities escape the world and paparazzi and submerge themselves into another cultural dimension. You could sip drinks at the terrace in Peponi among elderly Brits, Americans and South Africans in perfectly ironed linen shirts all day long, people watching the beach scene of donkeys carrying sand, dhows with white families thoroughly covered in sunscreen. Or, you could explore the backstreets of the town, swing by the boys Muslim school, next to the Swahili food joint, by the corner where the Rasta man and only IT expert on the island hangs out all day under the shade, and end up on the other side of the port where the French art galleries and shops line the street above the Maasai beads market. If you really want to feel in another time, you could take a boat taxi or a donkey ride to Lamu town and get lost in the tiny streets full of women carrying baskets on their heads, men with tall hats drinking tea and gossiping, market ladies in burkhas selling mangoes on the street corners, not far from the cages of live chickens for sale. The fruit market is basically a tight path covered on both sides with colorful fruits and large ladies in equally colorful wraps. The meat and fish market is a slightly smelly and bloody space where you can find any part of the goat and cow for sale. You also find the dark burkha Muslim women, along side the Swahili mamas carrying their babies in a sack on their back. No one came rushing to beg for money from me, however I did get stopped and very politely asked to respect the local laws and cover my legs (silly me showed up in shorts). 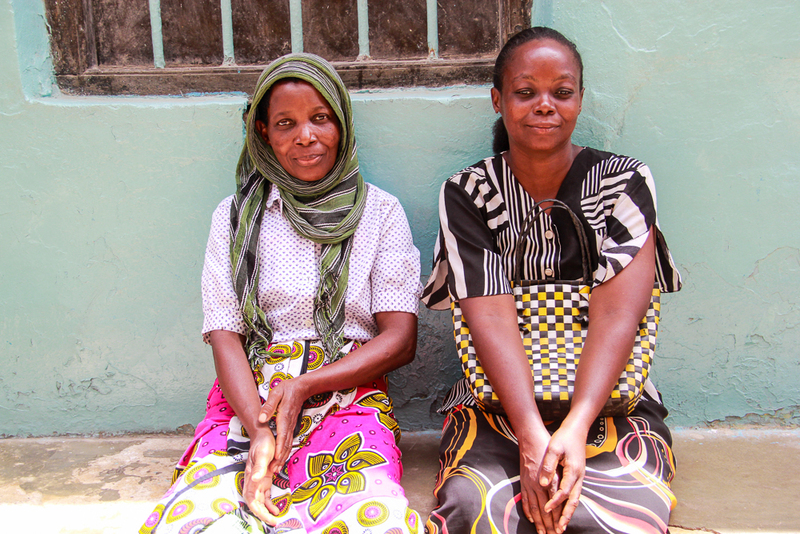 I did gather a few looks even after covering my legs, but most people greeted me with a friendly “Jambo” (“Hello” in Swahili) and a smile, and found it entertaining to watch me photograph everything around me, while staying out of the way of the donkeys. The beaches in Shela are kilometers long, with pure white sand and turquoise water. The princess of Monaco has a house on the beach, together with a Japanese lady and an Italian royalty. Maasai warriors guard the houses gates more for looks than out of need. On one of my hours long walks down the beach I found no people, but I did meet a beautiful herd of cows. They found me just as interesting as I found them fascinating and stared intensely at me while I was snapping pictures of their long twisted horns, curved hooves and clean patterned skins, shining in the sun. If you take a boat and cross over to Manda, there is the only pizza place on the island, with teak chaises and umbrellas right on the beach. 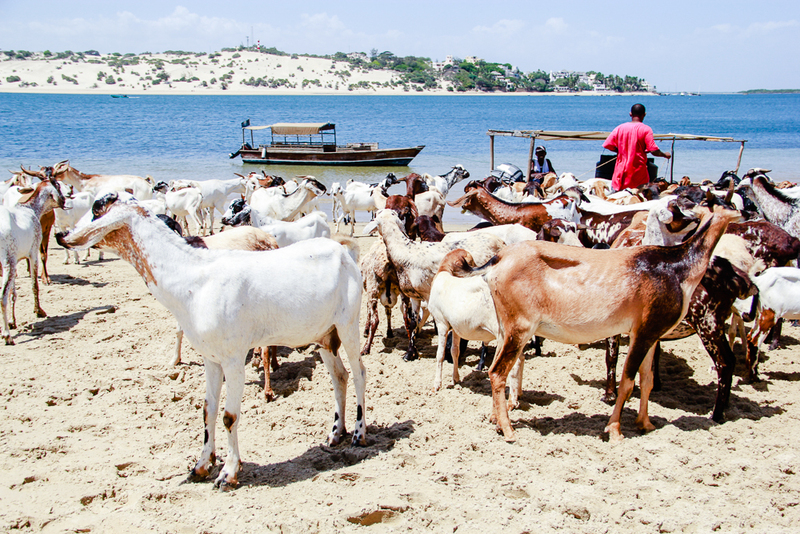 In the early afternoon you can see hundreds of goats prancing down the beach, lined up for the boat delivery of water, right in front of European tourists sipping on their beers. The goats posed quite nicely in front of the baobab trees, some of them even ventured out to smell my camera. If you have patience gliding down the sea in an ancient sail boat which tilts almost vertically, depending on the wind, take a dhow. It takes you past the mangrove trees and off to snorkel at Manda Bay, the private island with bungalows accessible only to the rich and famous. If you however, don’t want to get stuck on the water in pitch darkness immediately after the 10 min sunset, take a motor boat. The island side, opposite from Shela, is the home of a fishing village where dhows are made from scratch for centuries. Further down the coast you can spot white storks with long red legs walking proudly on the beach in front of the beach shacks. I had only seen storks in Bulgaria, usually in the Spring time when they come back from Africa and nest on top of lamp poles and church bells. It was almost cathartic to actually find the place were the storks I grew up with chasing, spend their winters. I don’t know what I miss most about Lamu. If it is the “Samosa” man with his white top hat who appears out of nowhere offering you “fresh” fish samosas just made by his mother and/or wife; the Rasta man singing out of tune “I can’t help falling in love with you” in the morning, as he is shaving on the edge of his boat; the donkeys trotting with loads of bricks, trash or sand on their backs; the Maasai with their miraculous outfits and happy smiles; the Muslim boys dressed up in their kaftans, chirping their way to the mosque at 5 pm; Mr. Lucas, our Swahili chef, who spoiled me with delicious food and jokes we shared in his kitchen; the dark-skinned “vacation boys” in the beach, throwing complements at you in Italian, making sure you know their occupation; the mesmerizing sunrises and equally beautiful sunsets; the thousands of sparrows in the sky at night; the gossip stories of the town; the women’s colorful bhurkas blowing in the wind; the kids yelling “Jambo" on top of their lungs… or maybe simply being in a place where different races, religions and cultural backgrounds have lived peacefully together for centuries and coexist in mutual respect and agreement.